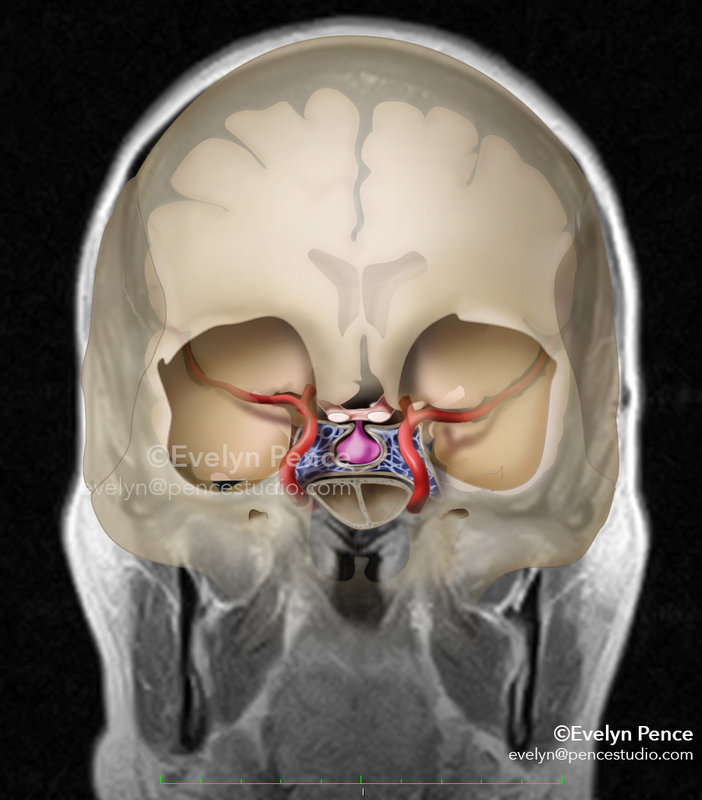 Pituitary gland and associated anatomy of the head and brain shown in 3 views, digital art rendered on patient scans. Mid-saggital view of the pituitary gland and associated anatomy. Digital art rendered on patient scan. 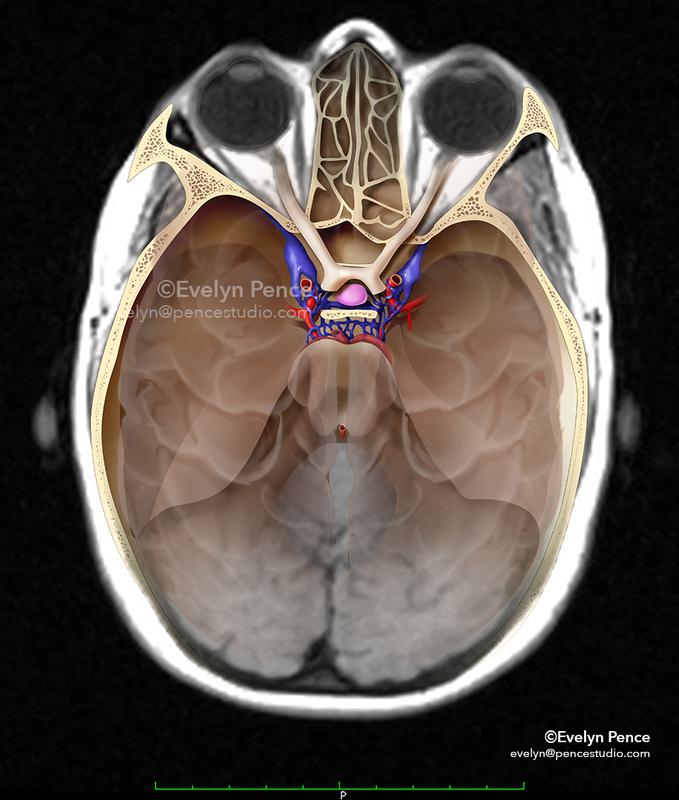 Coronl view of the pituitary gland and associated anatomy. Digital art rendered on patient scan. 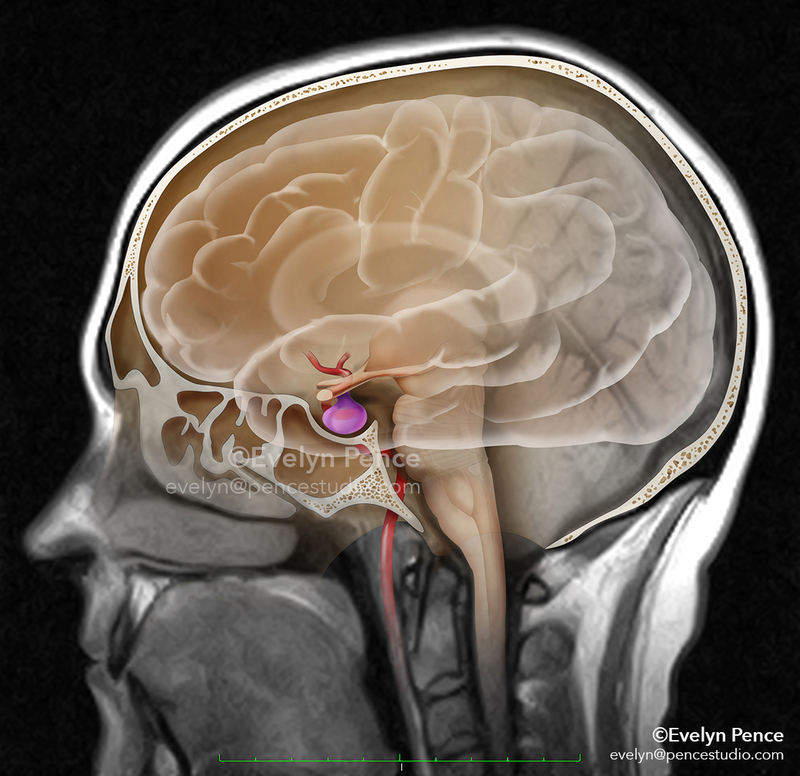 Axial view of the pituitary gland and associated anatomy. Digital art rendered on patient scan.